From 4th February 2018 to 4th March 2018 is the first month Jia Yin (Yang Wood Tiger) of the Wu Xu year (Yang Earth Dog) with the ruling energy of #5 in the central grid. On the 4th February, we will have both the annual and monhtly Flying stars change over which is likely to cause a huge shift in energy in buildings all over the world. Kan 1 White Kan (Tang Lang) is a water element and a yang Trigram. It also affects wealth career and luck and because it is timely in period 8 (2004 – 2024) it is considered an auspicious flying star. 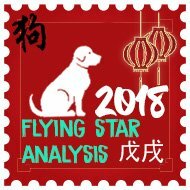 In February 2018, it has flown in to the north and the two elements work well with each other as we will need to use metal to weaken the negative annual #5 star that flies in to the north for the year and the north is where you should place your Salt water cure, Six Chinese i-ching coins in a row and 6 rod hollow metal wind chime which will weaken the annual #5 star and also enhance the visiting monthly #1 star. This area can also be very good for relationships this month and to enhance, you should introduce some metal elements that are round in shape, a traditional enhancer and cure is a brass wu lou or any object that is round in shape and made from a good quality metal like brass copper, steel. 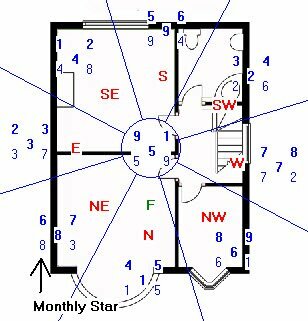 If you activate this area of the home this month it can bring in new opportunities, gains in financial investments, academic achievements and also romance and relationships as peach blossom is very good here. We have the Three Killings located in the north for 2018 as of the 4th February 2018 so it is important that this area is kept quiet. If this area is a bedroom, office, study lounge or other important room you should place a wu lou or other round metal objects which is auspicious. It is also very good to hang a set of six Chinese i-ching coins tied with red ribbon. This is a very traditional and authentic enhancer for the #1 flying star. As we have the annual #5 star in the north during 2018, it is important that this area is kept quiet and we have the cures and enhancers in place from the 4th February 2018 to the 3rd February 2019. If you disturb this area this month you may cause problems for the middle son and it could affect ears, kidneys or blood-related. If you have any poison arrows like lamp post, pylons or large comers of house’s pointing toward this area consider hanging a flat ba gua mirror outside pointing towards the offending object. Generally, though there is nothing to worry about with the #1 star as it is it is timely and an auspicious star. – place your Salt water cure, Six Chinese i-ching coins in a row and 6 rod hollow metal wind chime which will weaken the annual #5 star and also enhance the visiting monthly #1 star. Ken 8 White Zuo Fu is an earth star and a yang Trigram and is the most auspicious governing flying star of the lower era of the sexagenarian cycle of the flying stars (Xuan Kong) system which is period 8 (2004 – 2024). During February 2018, the #9 star has flown in the northeast where the annual #3 star visits for the year and fire cures are needed to both enhance the monthly star and weaken the annual stars influence. Wealth, fame, romance, prestige and distinction can be expected especially if you have an office here, even if you do not you can still activate it. When activated correctly it brings good fortune and exciting times even with the conflict of elements. If you work with symbols, quartz crystals, crystal balls or hanging faceted crystals are very good for this area this month. The #8 star also governs relationships so a nice romance enhancer is a pair of Mandarin Ducks. On the 4th February, you should place your Baohulu protection gourd and Dragon Chasing Pearl tablet huo long ming zhu (fire dragon with treasures) for the annual #3 star. You should introduce some fire colours such as reds, oranges etc. Do not place heavy metal in this area of your home or office this month, as it will weaken the good earth for the monthly star and also aggravate the annual #3 wood star. Chen 3 Jade (Lu Cun Xing) is a wood star and a yang Trigram. It affects the feet, lungs, convulsions, liver, bladder, limbs and hysteria. It also affects the eldest son and overall very inauspicious and needs cures or avoidance this month in this area otherwise it can cause many problems. The east is not a nice area in February 2018 as we have the annual #7 fly in and also the monthly #3 so it is important that this area is kept as quiet as possible during February 2018. If your bedroom, office, lounge, main door or other important room is located in this area and you are unable to move out please read this section carefully. The good news is you now know this is an inauspicious star and you can do much to dissipate its negative influences for the month, so do not panic at all. Make sure that you have your annual cures and enhancers in place in the east as this will weaken the influence of the annual #7. 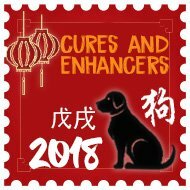 You should place your Huaxianweiyi Sheng Chi Cure and Enhancer here from the 4th February. To view our range of cures and enhancer for the monthly visiting #3 star, click here. These cures can be moved around the home or office to enhance the monthly #3 star. Sun 4 green Wen Qu romance and literacy star is a wood star. It affects the thighs, hip, buttock, bladder, liver and can cause colds and flu although on the whole it is considered an auspicious star. 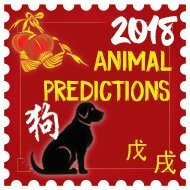 The Sun wood 4 has flown in to the southeast from the 4th February for the month along with annual #8 making this an auspicious area this month although we do have Sui Po here for the year so some care is needed. Having a door in this area can bring in new opportunities and lots of travel and perfect for a company that deals with travel or printing although please be careful not to slam the door. Do not use fire or metal in this area or colours white, silver this month. Do not worry if you have these colours already just introduce colours blue or black in the way of a floor mat, cushions, tablecloth or such like. Ideally, you should avoid fire element and colours red, pink or purple during February although we will be placing them for the annual #8 star; make sure you introduce some blues to balance the energy here this month along with the annual cures and enhancers for the southeast. Good colours are blue, grey or black. – Try to keep this area quiet this month and avoid any ground-breaking or renovation. – Avoid displaying metal objects here, especially large heavy ornaments. To view our range of cures and enhancer for the monthly visiting #4 star, click here. These cures can be moved around the home or office to enhance the monthly #4 star. Li 9 Purple (You Bi) Li 9 Purple is a fire star and a yin trigram and considered a star of future wealth and has an auspicious influence in Period 8. Career opportunities and promotions are probable especially if you have an office or main door in this area this month. On the 4th February, we have the monthly #9 fly into the south along with the annual #4 star and this benefits from a wonderful synergy. There is fame and acknowledgment, growth and improvement. It affects the eyes, mental disturbance, blood disorders and stomach and can cause problems at work. These problems only occur when you have poison arrows directed to this area this month. On the 4th February, please make sure you have your Shou Kun qi Fu Wish & romance enhancer in place for the rest of the year. If you disturb this area this month you may cause problems for the middle daughter and it could affect heart, stomach or blood-related. If you have any poison arrows like lamp post, pylons or large comers of house pointing toward this area consider hanging a flat ba gua mirror outside pointing toward the offending object. Generally, though there is nothing to worry about with the #9 star as it is it is timely and an auspicious star. This is a good area in general, especially for those in studies. If this is a family area (living, dining or a library), encourage children to study here. Couples with a bedroom in this location can also enjoy good relationships. There may also be a chance of producing intelligent children. If you want to enhance this further place a statue of Kwan Yin in this part of your bedroom. Kun 2 Black (Ju Men) is an earth star and a yin Trigram. It affects the stomach, digestive, general sickness and problems with thought process. It also affects the Matriarch (eldest female) and overall very inauspicious and needs either cures or avoidance this month in this area otherwise it can cause many problems. On February 4th, we have the annual #6 star fly into the southwest along with the monthly #2 star. If your bedroom, office, lounge, main door or other important room is located in this area this month and you are unable to move out please read this section carefully. 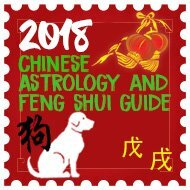 The good news is you now know this is an inauspicious star and you can do much to dissipate its negative influences for the month, so do not panic at all and make sure that you have your Wu Fu five bats of wealth and success talisman on the 4th February. This star affects the health of those under its influence bringing with it wealth problems, sickness, disease, bad luck, stress, stomach and digestive problems, bloated feeling, gossip, backstabbing, family harmony and distress. Luckily, we have the visiting earth stars energy enhancing the annual star which will in turn, weaken the effects of the monthly stars influence. – You can use any metal ornament as long as it is not sharp or aggressive looking, and believe it or not a good cure is a round metal dog bowl or weightlifters weights. To view our range of cures and enhancer for the monthly visiting #2 star, click here. These cures can be moved around the home or office to enhance the monthly #2 star. Tui 7 Red (Po Jun) robbery star is a metal star and a yin trigram and known as the mischievous Po Jun #7 argumentative red star is a negative influence in Period 8. This is a fighting star which can cause problems if left alone, the #7 Red indicates a high risk of burglary, deception, copyright theft, gossip and backstabbing this month. The west is not a nice area this month as we have the annual #2 fly in along with the monthly #7 and it is important that you have your cures and enhancers in place on the 4th February. For the west this year, you should have a Guanshiyin Protection bell along with a salt water cure and six Chinese coins tied in red ribbon throughout 2018. Ch’ien 6 White The star of Heaven star (Wu Qu) is a compassionate money star and a yang Trigram and it affects the lungs, large intestines and head and can impact the Patriarch (eldest male) although on the whole it is considered an auspicious star. We have Tai Sui located in the northwest from the 4th February 2018 until the 3rd February 2019 although if this area is kept quiet in February, this can be a nice area this month. For the year, you should place a Jiang Wu Tai Sui Plaque along with an Arowana fish sitting on a bed of coins to pay respect and appease Tai Sui. Those who have main doors or offices in this area may enjoy excellent business and career success although it is vital that you do not slam the door this month or throughout the whole year for that matter. However, whilst 6 White represents an accomplishment, if the #6 monthly star is located in a bedroom it can cause problems with the throat, and/or legs and also problems with breathing especially for the eldest male although they are a minor problem and nothing to worry about if you follow the advice here. If you do have a bedroom in this area place some blue, black, grey or charcoal cloth such as a rug or duvet covers to dissipate its energy. The 5 Yellow also called ‘Wu Huang or Lian Zhen’ in Chinese, is one of the bad monthly afflictions. Do be careful with it. Stillness together with metal cures can keep its negative influences at bay and you must avoid using fire energy like reds and candles in this area this month. I have ‘Nightmare Neighbors’ who live next door, directly to the South of my West facing home. After an especially bad time with them 7 years ago, I put up a convex mirror and positioned it to face their home. By all appearances it worked like a charm. Each year for the next 7 years (in February) I replace the mirror with a new one. Throughout that time all remained on the Southern Nightmare Neighbors front— for the next 7 years. Suthern neighbors were no longer tresspasding or harassing. As this year has especially favorable influences directed in from the South, I elected to Not replace the South facing convex mirror for the first time in 7 years… in case the mirror might obstruct the the good energies..
Two days after taking the convex mirror down Nightmare Neighbor confronted me over the back yard fence Again. I’m stunned. Clearly I still need some kind of a “Cure” facing Nightmare Neighbor’s house again. …but am not sure of the best one for 2018. My question: Is there a Cure you can recommend to successfully Block the Nightmare Neighbors at my South, ….But will Not simultaneously block the Southern favorable influences of 2018? Your guidance in this is greatly appreciated. Sorry to hear things have got worse with your neighbours again. The best way to dispose of and old ba gua mirror would be to wrap it in paper or cloth and dispose of it outside of your home. I hope this helps, Chrys and hope that the problems with your neighbours go away. Why place in nordwest colours of water, star 6 is not a star good ? The 6 is an auspicious star in period 8 so we should enhance it with water colours for the month.